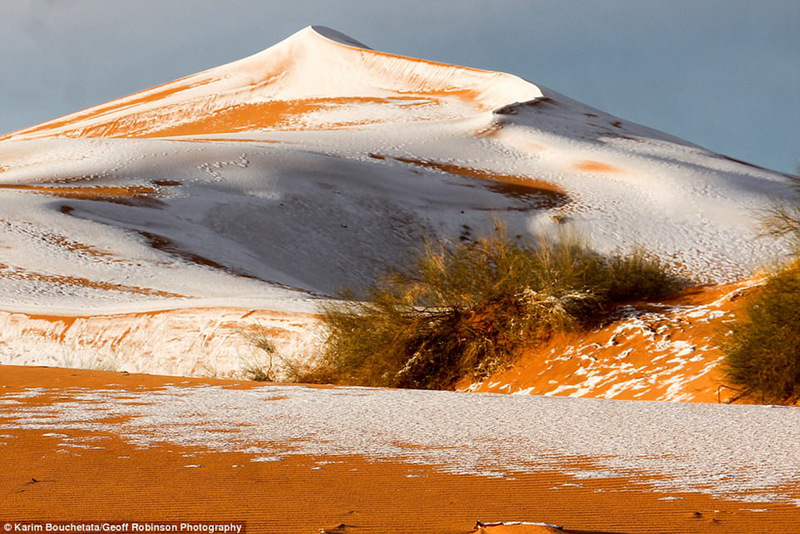 Spanning 3.6 million square miles, the Sahara Desert is the largest hot desert in the entire world. 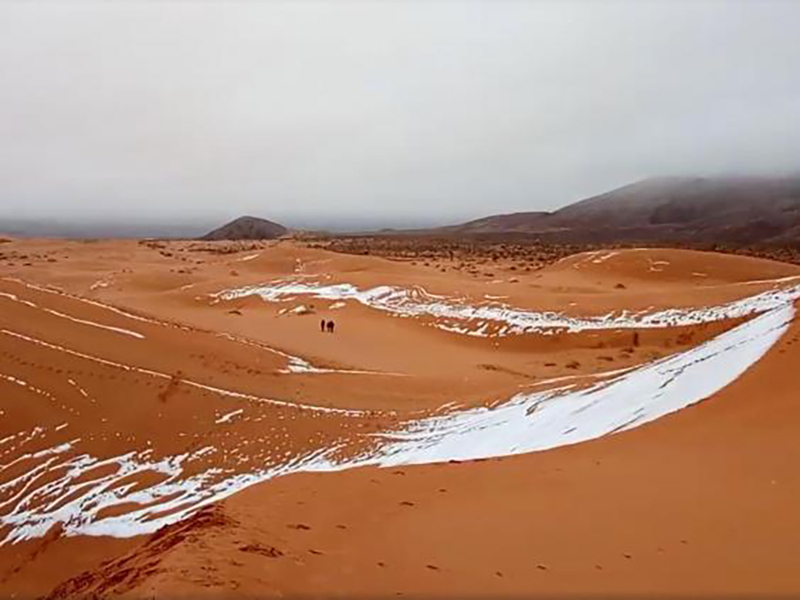 A vast expanse of desert mountains, high plateaus, and barren desert sands, it is no shock that the area boasts a hot, dry climate throughout the year. 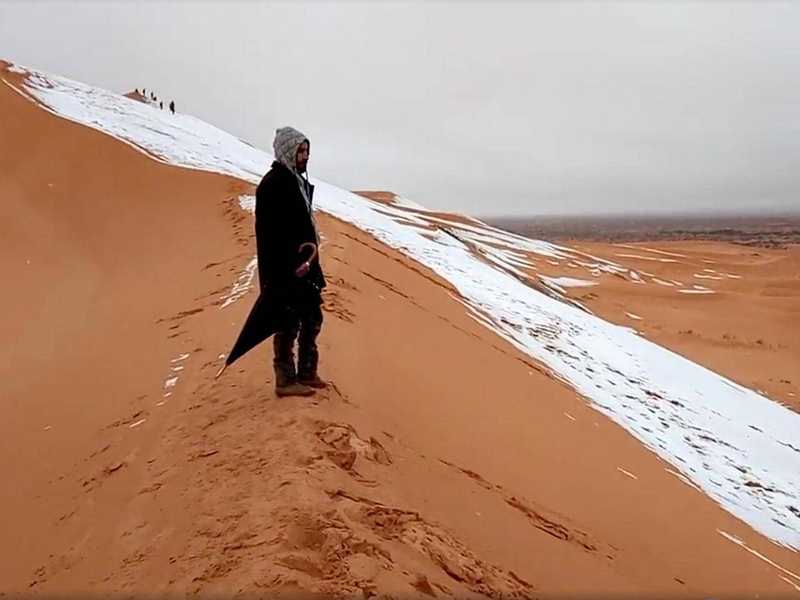 In fact, experts report that half of the Sahara Desert receives less than an inch of rain over the course of the year, while the other half isn’t much better, receiving up to 4 inches. 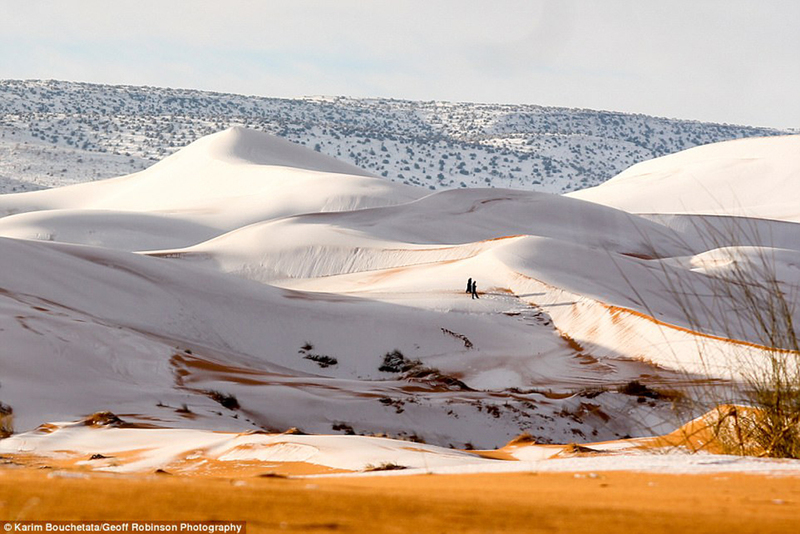 You can imagine everyone’s shock when the sand dunes of that very desert were dusted with snow. 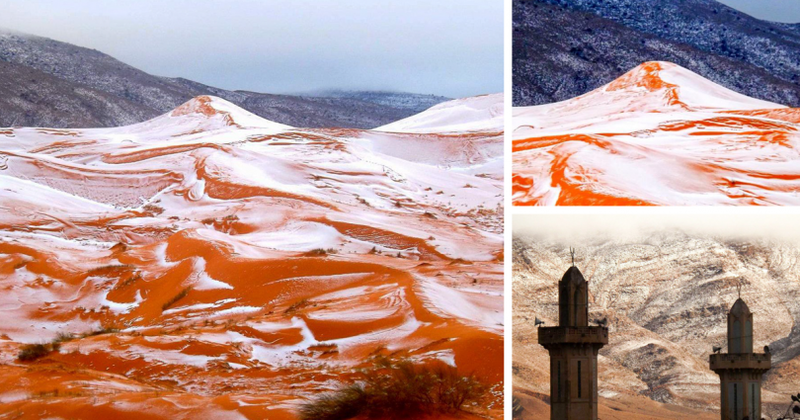 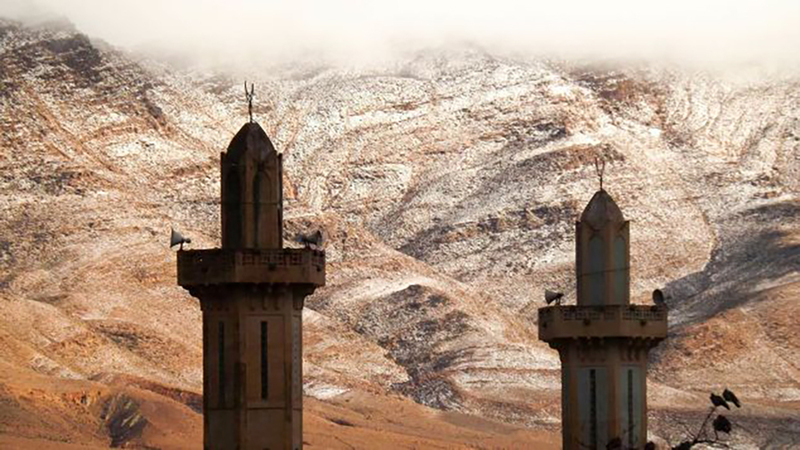 The town of Ain Sefra in Algeria saw 1-2 inches of snow in the early hours of Sunday morning with the outskirts surrounding the city seeing up to 16 inches in some areas! Incredibly, this isn’t the first time in the recent past that this has occurred. 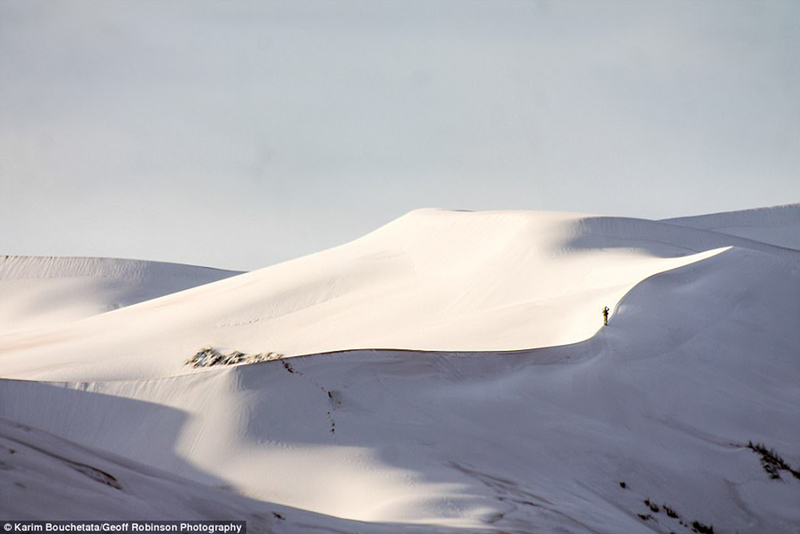 The town saw snow following Christmas 2016, sending the city into complete chaos and disarray. 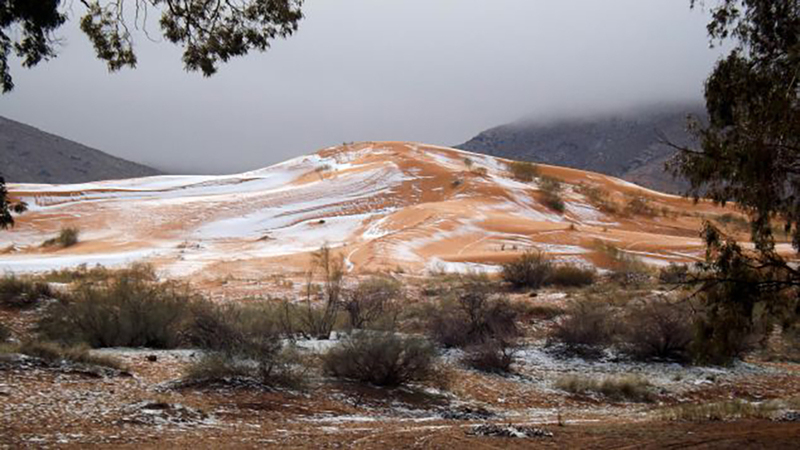 Prior to the 2016 storm, the area hadn’t seen snow since February 18, 1979. 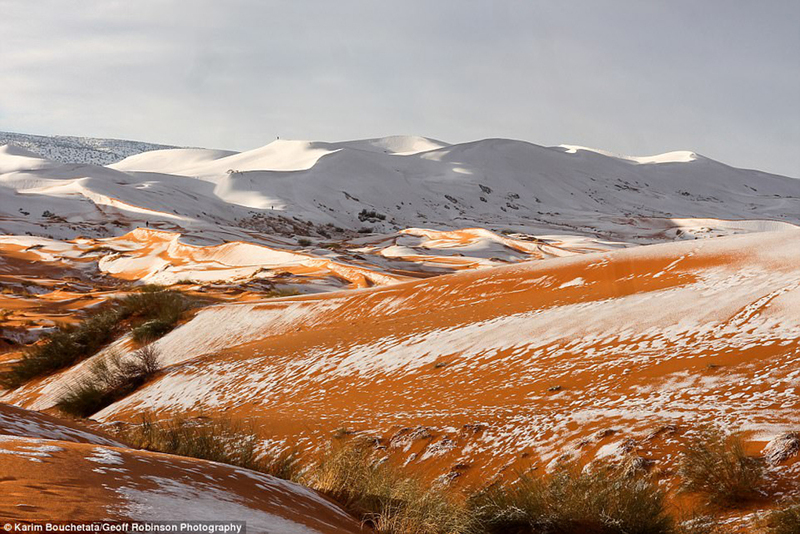 When asked about the phenomenon, photographer Karim Bouchetata stated, “We were really surprised when we woke up to see snow again. 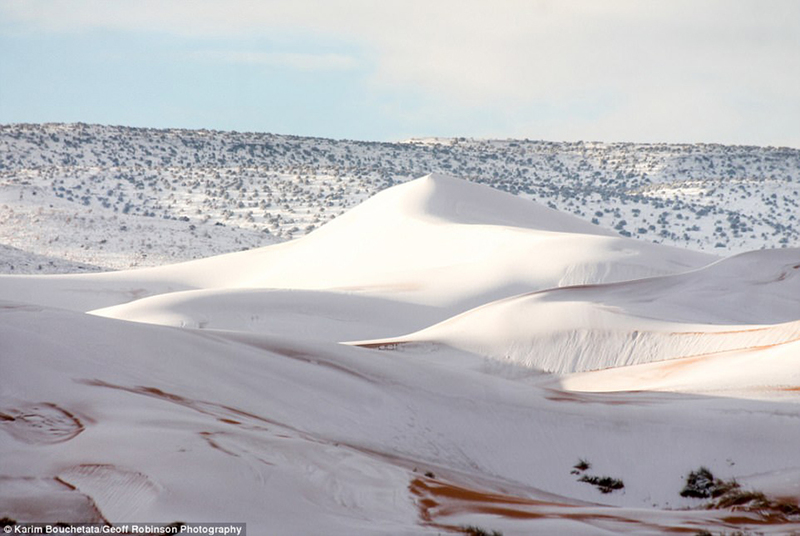 It stayed all day on Sunday and began melting at around 5 pm.” While children made snowmen and snow angels and took their makeshift sleds to ride down the dunes, Bouchetata, along with numerous other photographers, took out their cameras to capture the rare beauty.